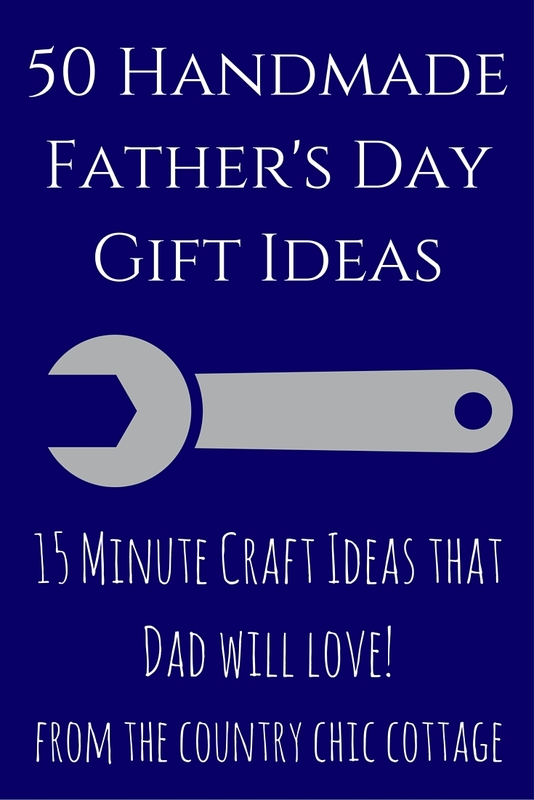 Give one of these handmade Father’s Day gift ideas today! We have 50 great ideas that take 15 minutes or less to make. Put a smile on Dad’s face by giving handmade this Father’s Day! He will love each one of these gifts and most are easy enough for the kids to get in on the fun. Grab your craft supplies and get started today! I am going to list the links to each of the projects below. Just click the link to be taken to the instructions to make each of the handmade gift ideas. If you want to see pictures of the gifts before you click, just check out the crafts from day 1, day 2, day 3, day 4, and day 5. Otherwise find a gift idea you think you might like, click it, make it, and gift it! That is one great collection of handmade Father’s Day gift ideas. Give one or two of these a try to put a big smile on Dad’s face! No time to make these gift ideas? No problem! You can use the affiliate links in the widget below to purchase your Father’s Day gifts from Amazon!